When I decided to make the transition to barefoot I made a commitment to stick with it for six months. That was six years ago and I haven't looked back. Two of those horses are now Haggin Cup winners. There are five things that stick out as some of the most important lessons along the way. 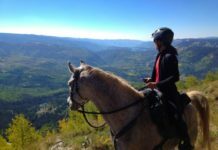 If you educate yourself about what to expect, you can speed up the transition process and eliminate discomfort for your horse. 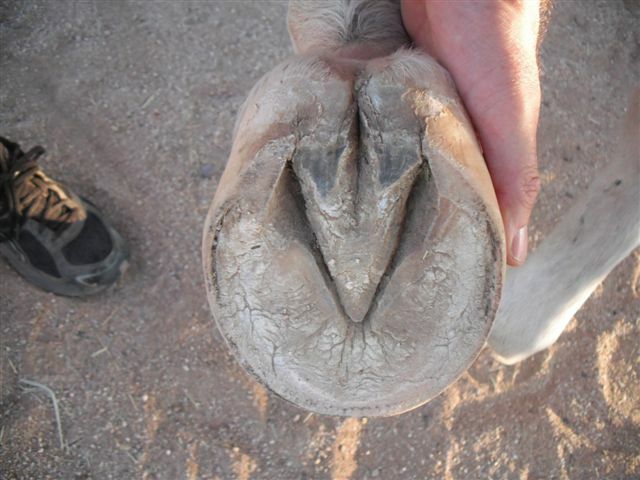 Don't merrily soak your horse's feet every couple of days and then carve out his false sole with a farrier’s knife. You might think you will accelerate the process of exfoliation and make the transition faster. A more conservative strategy will make the transition easier. 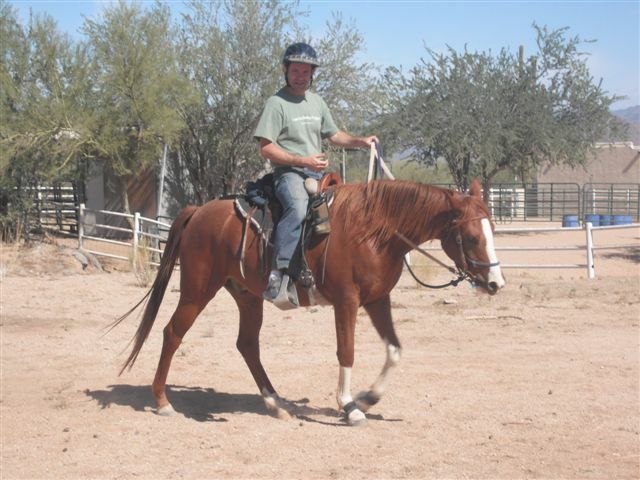 All horses react differently to the transition from shod to barefoot. Some horses can be problem-free for the first few week, and then start running into sensitivity issues. 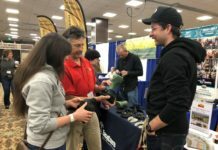 Talk things through with your hoof care professional before each trim. 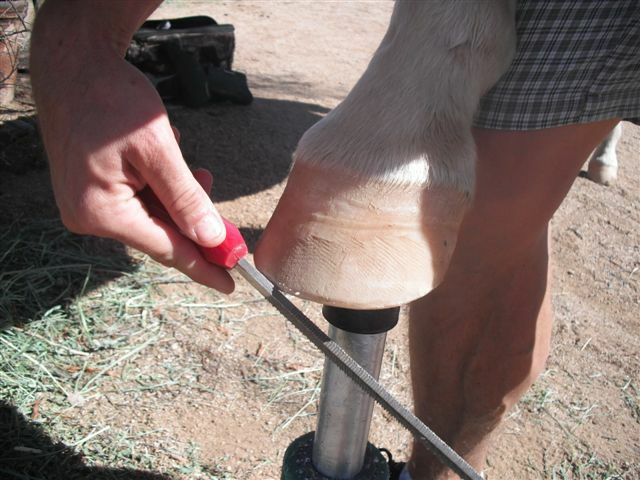 Be mindful that trimming the hoofwall below the level of the sole can create pressure on the sole that may result in soreness. A conservative trim is always a good idea. Take a rasp to your horse’s feet every few weeks – especially if you are working them regularly. 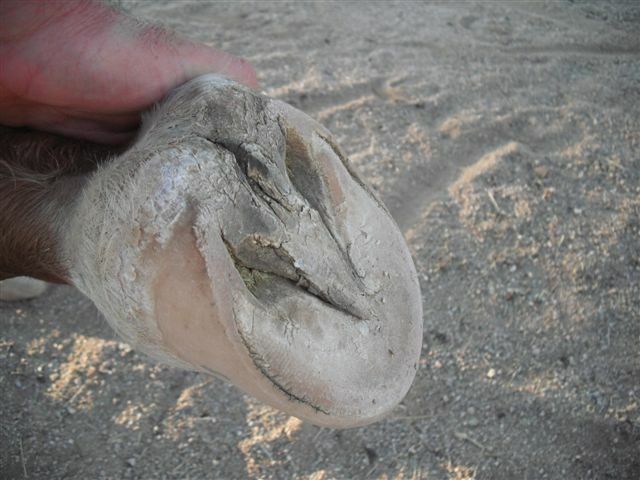 Help prevent the hoof wall chipping away by keeping a mustang roll around the base of the foot. 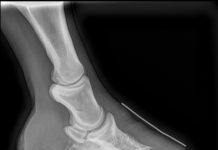 Regular rasping will also help bring the toe back and can offset a flare if the hoof seems predisposed to flaring. 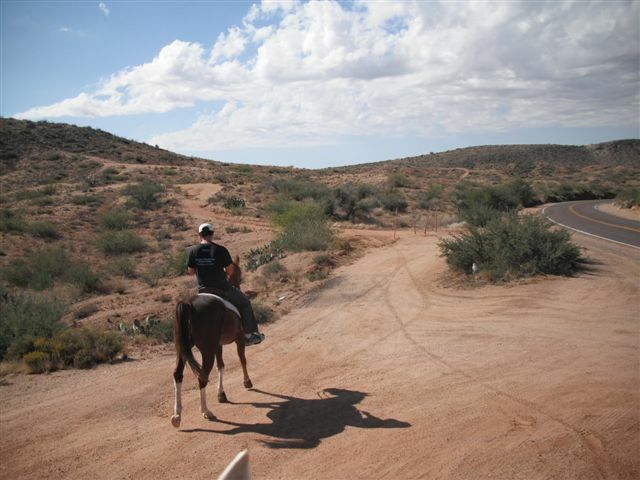 Pick the feet out regularly: horses can get thrush even in the driest of climates. 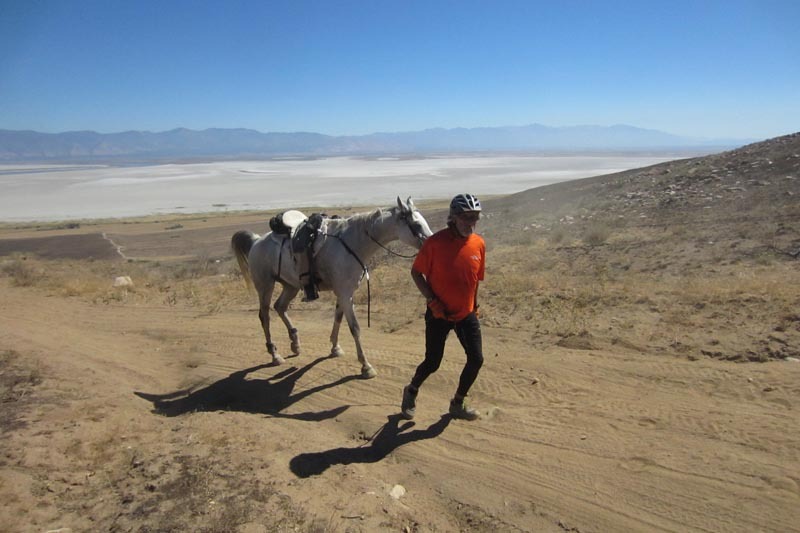 You can eliminate any rubbing problems with gaiters, even with a heavy riding schedule. 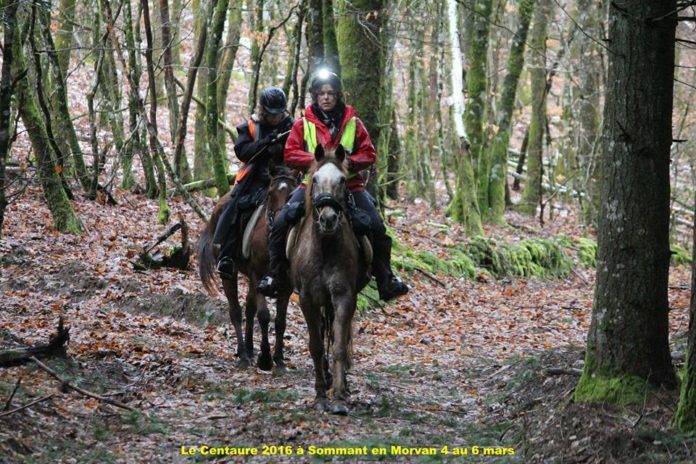 Avoid the risk of rubs in the pastern area by riding the horse a few times for short periods to get used to the gaiters. These short videos show horses at three weeks into their transition. You decide if you think it's going well for them.